Preheat the oven to 350°F. Get out an 8-inch square baking pan. Line it with parchment paper so it hangs over the sides like handles. If using whole chestnuts, grind into a fine powder in a food processor. In a food processor or a mixing bowl, add the eggs, water, butter, sweetener, vinegar, and vanilla. Mix until smooth and creamy. 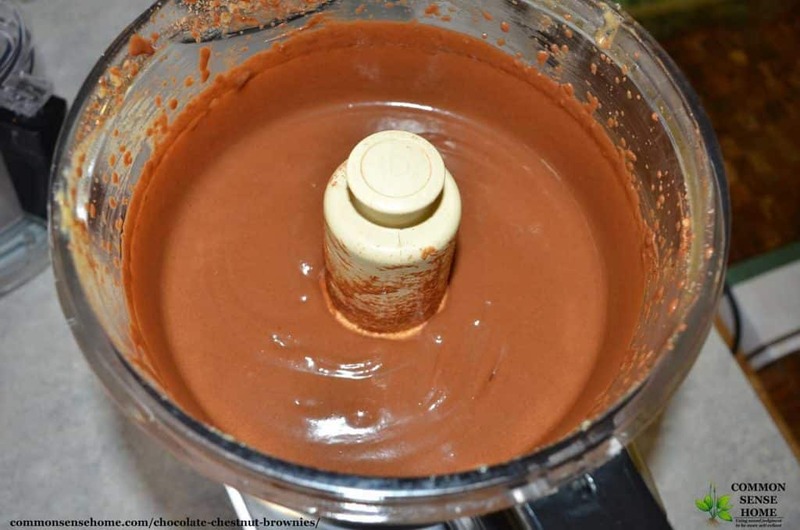 Add the cocoa powder, salt, soda, and mix well to a pudding-like texture. 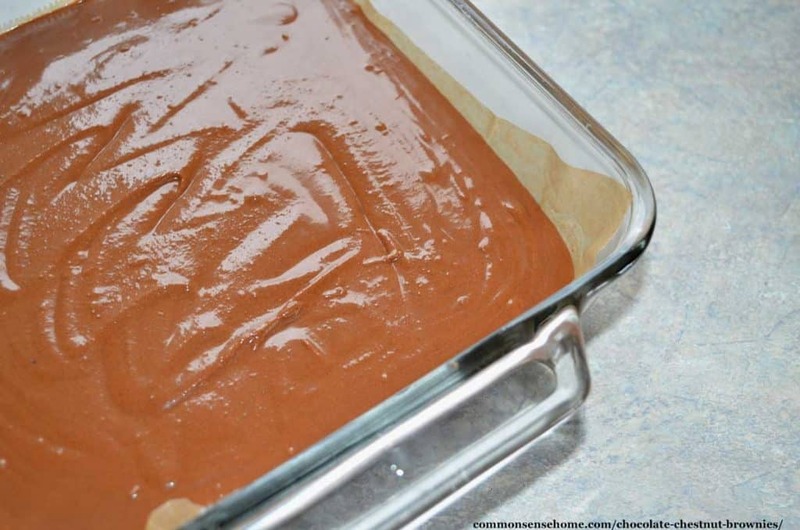 Spoon the brownie batter into the baking pan. Bake for 40 – 45 minutes, until center is soft set. 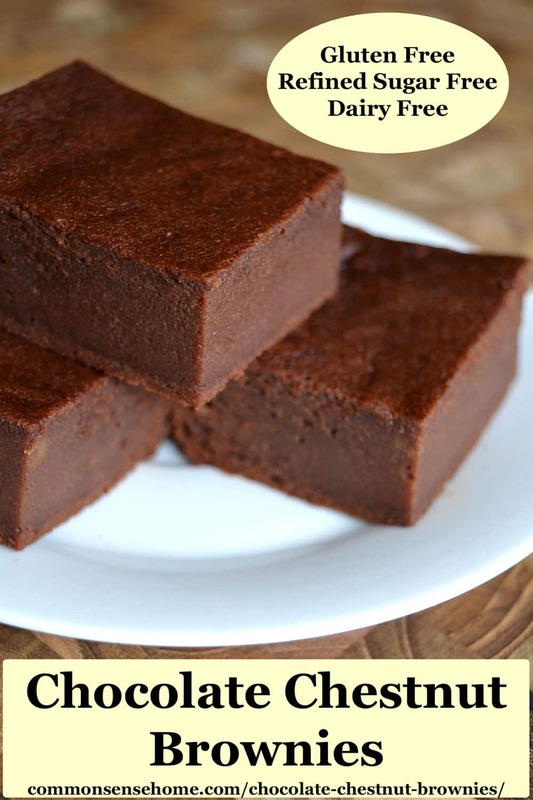 Allow to cool 15 minutes before cutting into squares and serving. The texture of these chestnut brownies is moist and cake-like. The boys were nervous at first because they haven't exactly fallen in love with all of my gluten free creations, but one bite one them over. 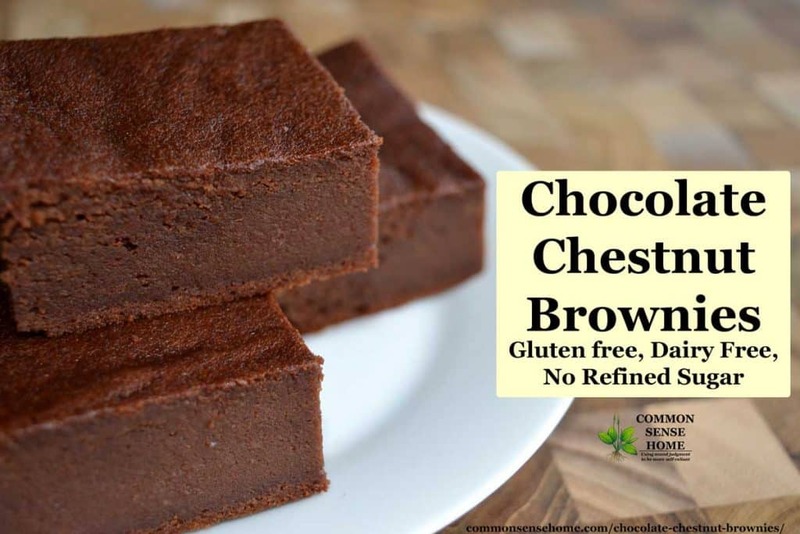 One bowl recipe for rich, cake like gluten free brownies made with chestnuts or chestnut flour. 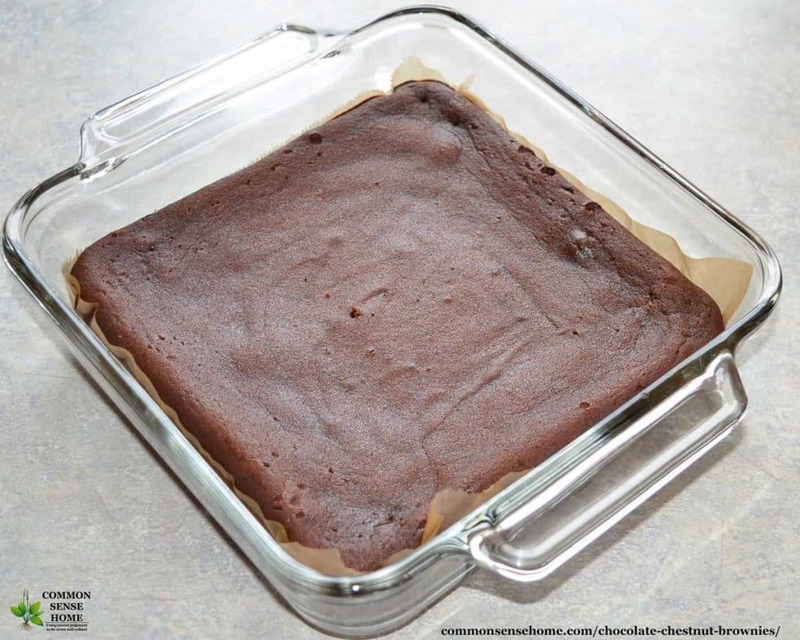 Spoon into baking pan. Bake for 40 – 45 minutes, until center is soft set. 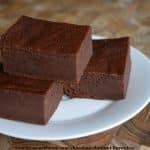 Allow to cool 15 minutes, cut into squares and eat. Stir in one cup chopped nuts before baking, if desired. I’m sure there’s some variation in moisture levels between different flours and ground nuts, so that makes sense. Glad it worked out with a little tweaking.